This cover carries a fine two-line cachet: Saved from the wreck / of the Ava. 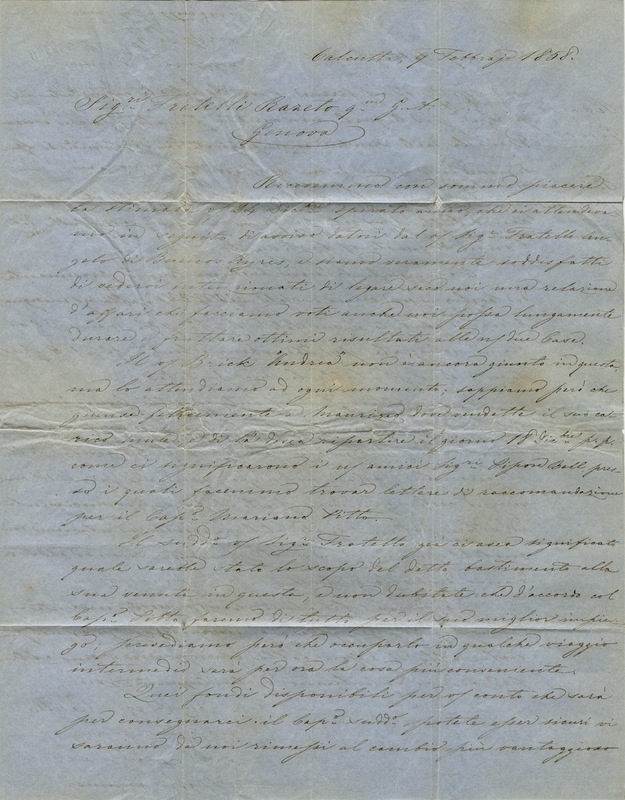 The cover was sent from Calcutta, but without postal markings, so is thought to have been carried by favour, addressed to Genoa in Italy. 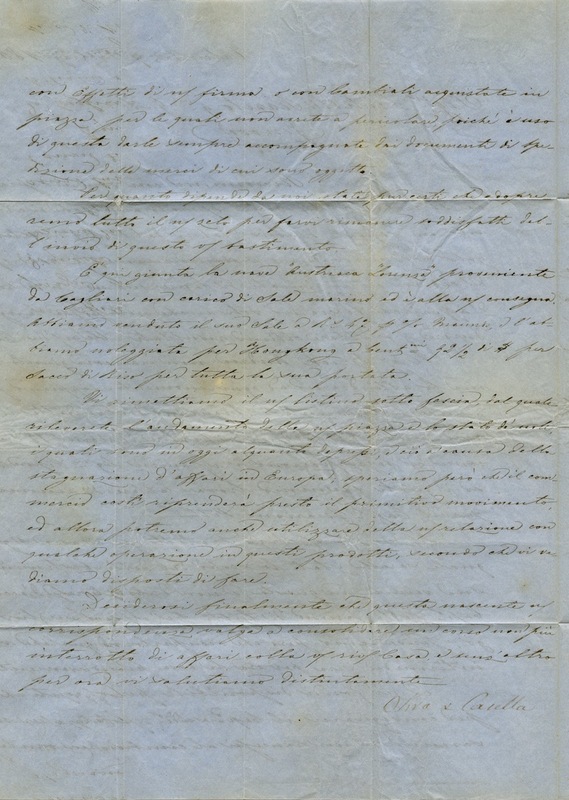 It was aboard the P&O steamer Ava which was wrecked near Trincomalee, Ceylon on 16 Feb 1858 and became a total loss. 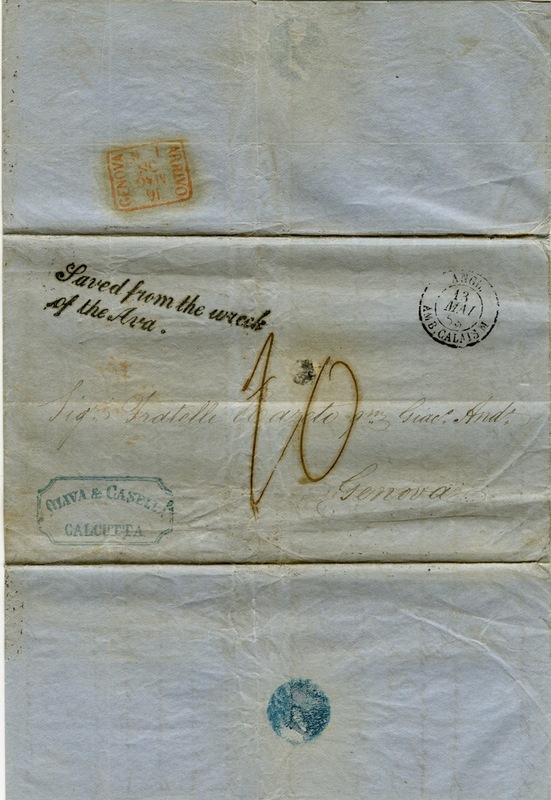 A French Travelling Post Office mark was applied to the cover on 13 May, with an apparent 70cents postage charge followed by a Genoa arrival mark on 16 May.